More often that not, new eateries were introduced to me through recommendations by my friends and/or colleagues. Whether I asked for new places or they mentioned about it frequently, somehow or some way, I will end up at that particular recommended shop / restaurant eventually. And it was such the case for this restaurant which I got to know via my colleague. 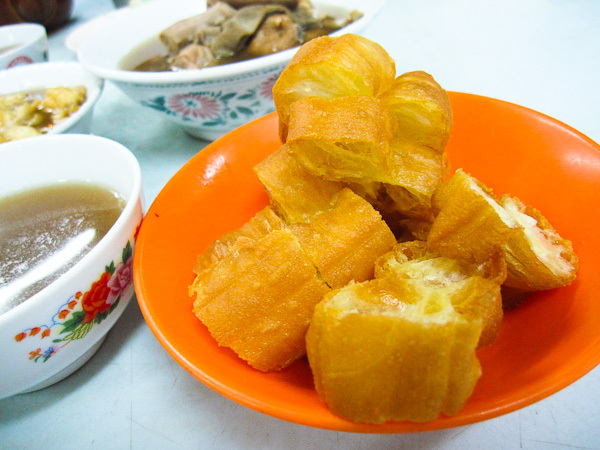 Tucked in a quiet neighbourhood of Pandan Jaya, it is said that they serve / sell one of the best bak kut teh (BKT) dishes outside of Klang area (the birth place of the legendary well loved dish). 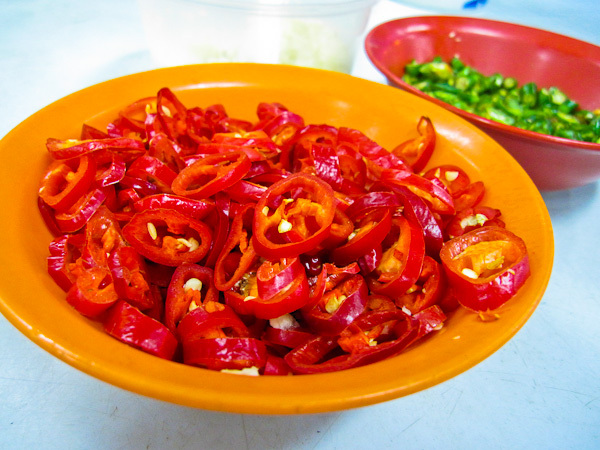 It is also said that they were really famous back in the days when they were selling in Pudu market before moving to this location. Locating this restaurant was a breeze because we got our coordinates right (and also thanks to Google Maps, in a way). The restaurant was partially filled when we arrived at about 730PM and by 8PM (or so) there were very few vacant tables left. The waiter who took our order were really fluent in Cantonese and that he spoke really fast left us stunned momentarily. 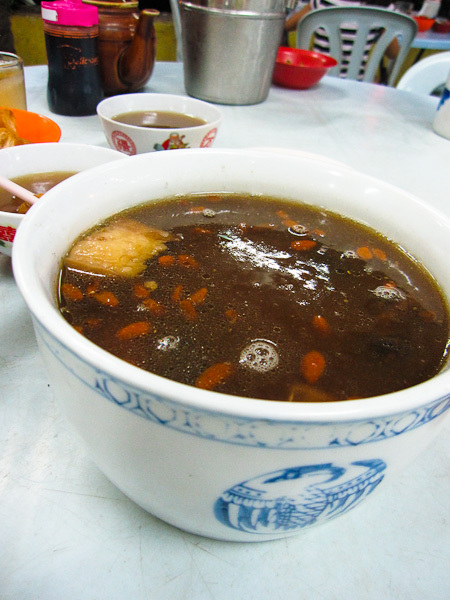 BKT and steamed fish were their forte but it was their Double Boiled Bak Kut Teh with Extra Herbs (RM32) that got us there in the first place. Initially, we were served a normal one due to our confusion and/or mistake but thanks to the friendly and understanding waiter, he changed ours to the former (double boiled one) in a jiff. Came in a huge porcelain bowl, it can easily feed two person. Despite being called BKT, I somehow felt that it was more of herbal soup than that of BKT as it lacked of the distinctive BKT trademark taste. But then again, I could be wrong though as I’m so used to the one I frequent to. Nevertheless, it was hearty herbal-y soup that could easily warm one’s soul. 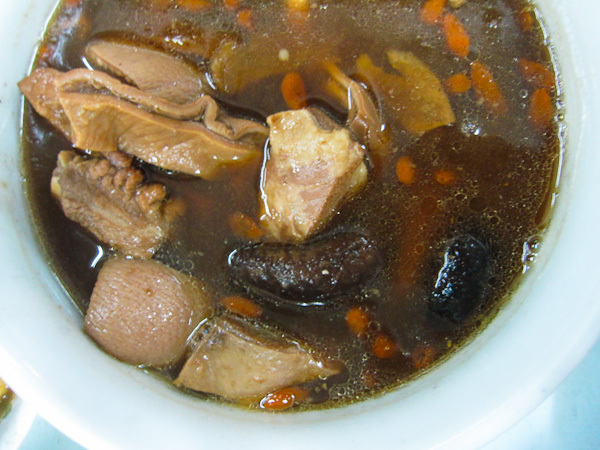 Chunks of fork-tender meat, ribs, mushrooms and pig stomach were found in the soup. 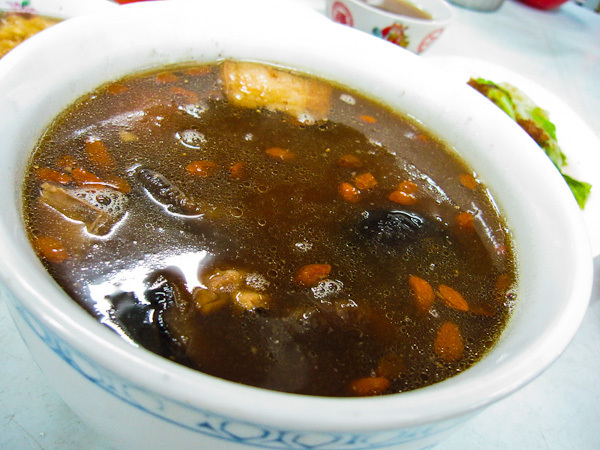 Oh yes… there were abundance of wolfberries and other unidentifiable chinese herbs too which made the soup rather naturally sweet. The fork-tender meat was infused with herbs while the mushrooms didn’t overpower the taste… which I doubt they could anyway. 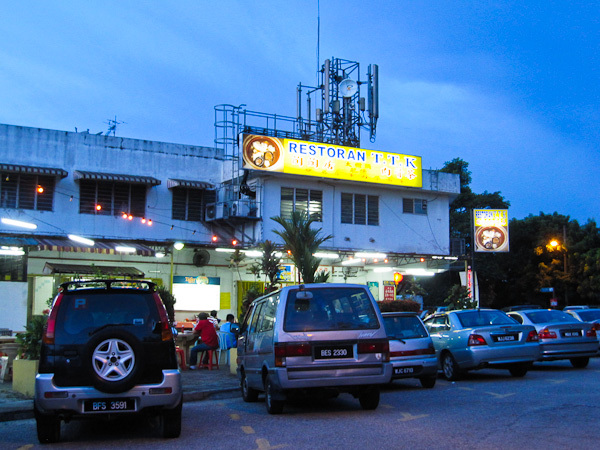 Their Yam Rice (RM1.60) was pretty good too. 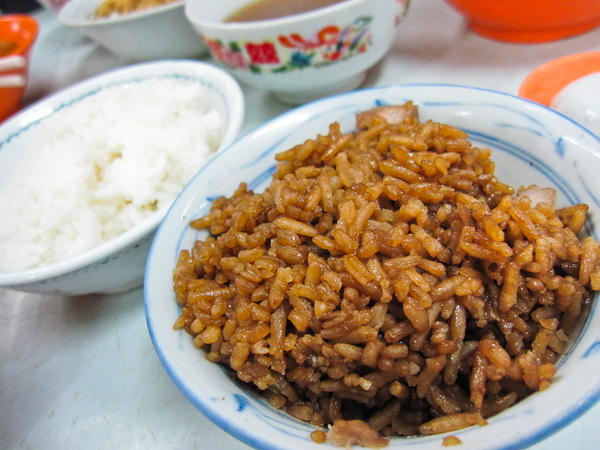 Each grain of rice was infused perfectly with the essence of yam and there were tiny yam cubes which were soft and tender. I made a mistake of opting for a normal white rice as the yam version went really well with the BKT. 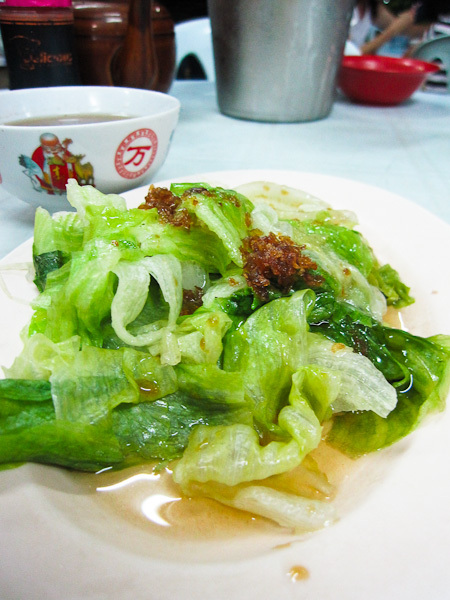 There was nothing to shout about for the vegetables and tau fu pok (beancurds) as they were just normal. The you tiao was average too despite being slightly crispy on the exterior. 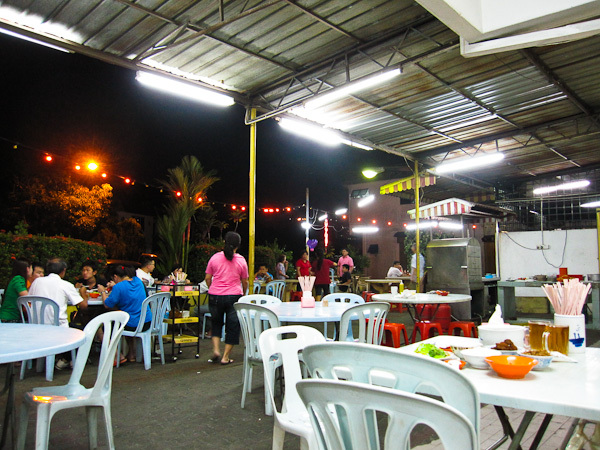 The meal came to RM50 (on the dot) for two person including a pot of tea. The Double Boiled BKT pretty much dominated a huge chunk of the bill but it is understandable since they used extra chinese herbs and what’s not to boil this hearty soup. The cleanliness of the restaurant was slightly better than I expected while comfort was assured since the restaurant was open air. Would I return again? 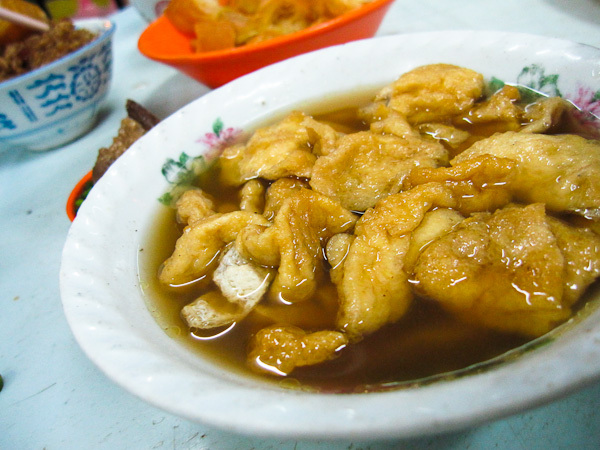 Definitely… if I’m craving for extra ‘strong’ version of BKT.